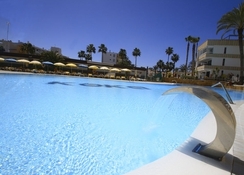 For those who are looking for a delightful holiday in the sun, the Koka Apartments are a great choice. This is a complex that caters to the needs of all guests and with a great location, there is something for everyone. The complex comes with outdoor pools for adults and children as well as a poolside bar that is ideal for grabbing a refreshing beverage during the day. All apartments are tastefully designed with an array of features, making it possible for guests to take control of their holiday from the moment they arrive. The Koka Apartments are an ideal base for those looking for a beach holiday and a wide range of attractions on their doorstep. The beach is just a short walk away, providing guests with access to golden sands, a wonderful setting and some great water sports options. 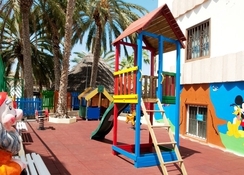 Guests looking for a fun-filled holiday will love its location because there are lively bars, the resort centre and attractions such as Holiday World Maspalomas, golf courses and botanical gardens. Guests can relax in this wonderful location where they can make the most of every minute, regardless of whether they choose to fill their holiday with activities or relax and unwind by the pool. The hotel comes with a total of 280 apartments that are designed to provide guests with an enjoyable and relaxing holiday. 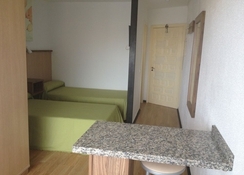 The rooms are spacious, modern and well-designed to provide an exceptional level of comfort. 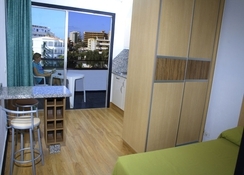 All rooms come with a fully-equipped kitchen as well as a furnished balcony with a great view. Along with this, each room has its own bathroom with a shower, satellite TV, telephone and air conditioning. This is a self-catering resort and all rooms come with a kitchenette making it possible for guests to cook in their rooms. There is a pool bar on-site where guests can pick up a light snack and choose from an array of beverages. When it comes to dining, guests are spoilt for choice as there are many restaurants located just a short walk from the hotel as well as a great choice of bars that make the most of the gorgeous seafront setting. The complex comes with outdoor pools for adults and kids as well as a sun terrace where guests can soak up the sun all day long. For those who prefer some action then the water sports and stunning beaches are sure to give guests all that they need. 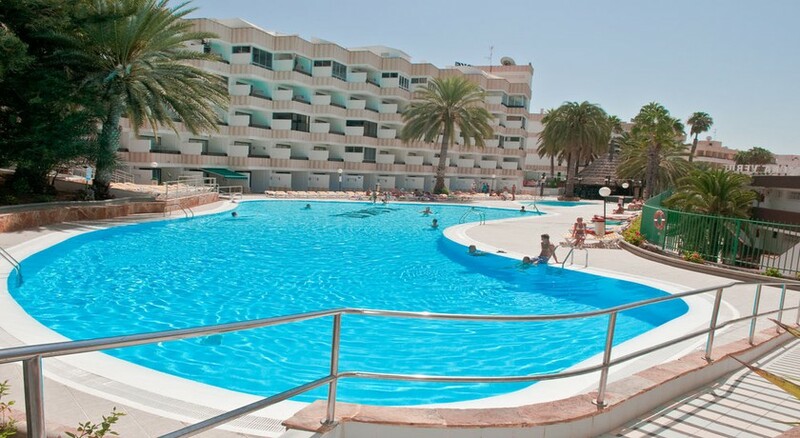 Holiday World Maspalomas is the place for all to have some fun and excitement while keen golfers can book in a round of golf at the local course. In case there has been no deterioration of the apartment or inconvenience to third parties.